A Board of Finance subcommittee has decided not to make a ruling in response to an email from Representative Town Meeting member John McCarthy that questioned the ethics of the Baron's South Committee's review of developers' proposals for a senior residential campus at the town-owned Baron's South property. In a Nov. 12 email to Lynn Scully, the town's internal auditor, McCarthy asked her to investigate the process leading up to the Baron's South Committee recommendation in September of a proposal by the Jonathan Rose Companies development firm to develop a 99-unit senior living center on the site. In particular, McCarthy took issue with the role of Rick Redniss, a land-use consultant for Jonathan Rose, who also drafted a text amendment to zoning regulations passed last year by the Planning and Zoning Commission, which created the zoning framework for senior housing at Baron's South. "I believe this type of behavior clearly violates the spirit, if not the letter, of the State of Connecticut's Ethics codes, specifically the code's discussion of `side switching,' " McCarthy said in the email. McCarthy represents District 9, which encompasses most of the town center and includes the Baron's South property. He did not attend Monday's subcommittee meeting. To prevent side-switching, former state officials and state employees are not supposed to represent anyone other than the state in matters in which they were involved while working for the state and in which the state has "substantial interest," according to state law. McCarthy said the goal of preventing side-switching should act as a "bedrock principle" for town officials, public employees and volunteers and consultants to town personnel in Westport. "I believe that the Baron's South Committee should not have considered the Rose Group proposal without first publicly disclosing that there was potential conflict of interest and getting and publicizing an opinion from an independent ethics committee," he said in the emailed complaint. In recent months, McCarthy has repeatedly questioned the integrity of the Baron's South Committee's review of developers' proposals for senior housing at Baron's South. He has objected, in particular, to the committee's decision to hold a series of closed-door sessions earlier this year to examine the bids. He has also called for a new committee composed of elected town officials to evaluate plans submitted in response to a new RFP set to be issued for the Baron's South project. The Baron's South Committee is a nine-member panel, which was appointed last year by Joseloff. That committee wrote the first RFP for Baron's South, which was issued in December 2011. Westport's town government does not have an ethics committee, nor does it have an official ethics code. Unrelated to McCarthy's email, the RTM on Tuesday was to consider a new ordinance proposed by the League of Women of Voters of Westport to create an ethics code for town officials and town employees, as well as an ethics committee, which would investigate ethics complaints about town officials and town employees. In place of an ethics committee, the Board of Finance's audit subcommittee reviewed McCarthy's email by taking a role similar to that of an ombudsman. While subcommittee members did not make an official judgment or take any votes related to McCarthy's complaint, they indicated that they did not consider Redniss' consulting for both Jonathan Rose and the town to be an ethical violation. "No conflict of interest has actually happened because no bid has been formally accepted," said Board of Finance member Brian Stern, the audit subcommittee's chairman. "To argue that there's a conflict of interests, when the process is incomplete, logically for me, is difficult to say. No money has changed hands." Board of Finance Vice Chairwoman Helen Garten also said she did not consider Redniss' consulting for the town and Jonathan Rose to constitute a conflict of interests. Redniss also served several years ago as one of several consultants to an informal working group composed of Joseloff, Selectwoman Shelly Kassen and Human Services Director Barbara Butler, which developed a conceptual plan for housing at Baron's South. Redniss was not paid by the town neither for advising the working group, nor for writing the text amendment, according to Kassen. Finance board members also pondered a question McCarthy asked in his email about whether Redniss' role as a consultant to Jonathan Rose may have dissuaded other developers from bidding. About 30 people representing 15 to 20 bidding groups had attended an informational meeting about the first RFP held by the town last January, according to Stern. But the town received proposals from only three development firms for senior housing at Baron's South. "It could be that they looked at it and said, `The economics just don't work,' " Board of Finance Chairman Avi Kaner said of the low number of bids. "Also, how would they know that this particular person [Redniss] was part of a bid?" Garten asked. "They wouldn't necessarily." 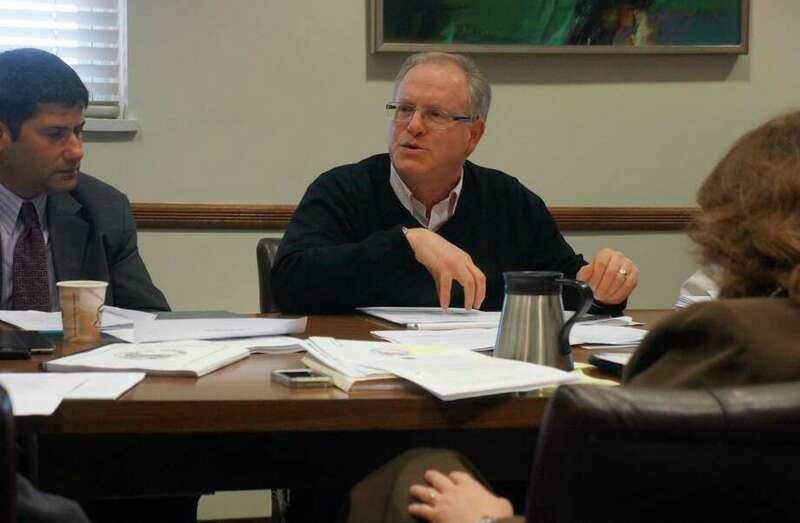 The audit subcommittee recommended that Scully and Richard Kotchko, the town's purchasing officer, incorporate the main discussion points of Monday's audit subcommittee meeting into the new RFP, which could be issued later this month. The new RFP will also likely include a list of all the consultants that the town has used so far in its planning for the prospective senior residential campus at Baron's South, Kassen told the Westport News after Monday's meeting.